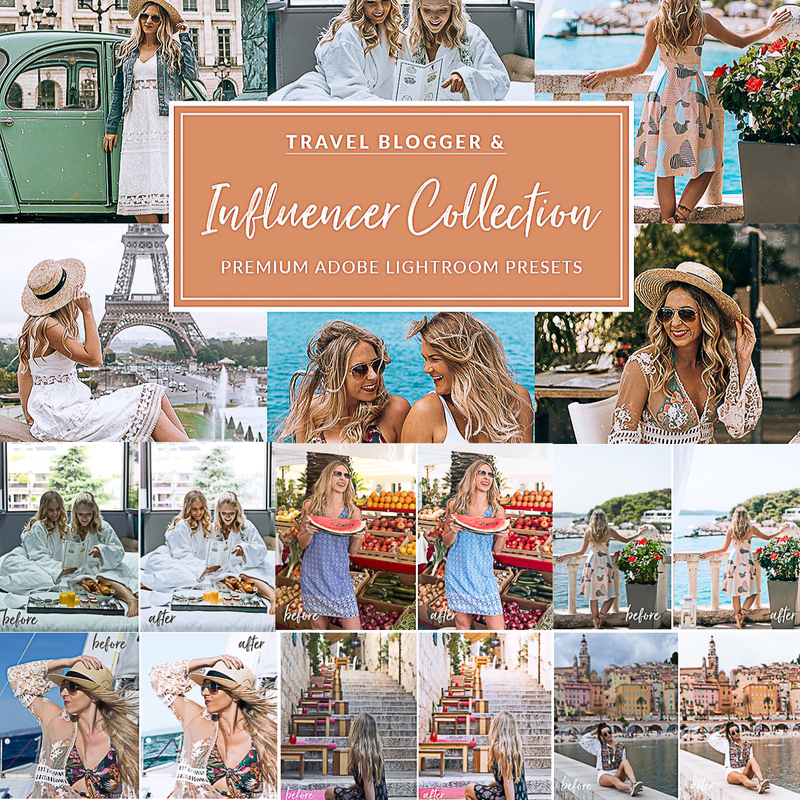 The Travel Influencer Preset Bundle is a collection of 15 presets for your travel pics editing. These presets work particularly well with tropical ocean blues, true jungle greens & dreamy bright whites, but can also be applied to any image to add a clean and original style. 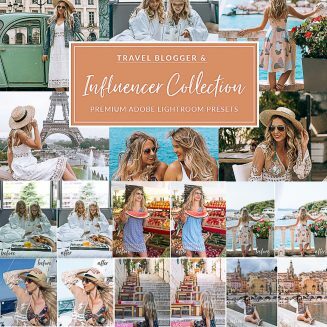 The Travel Influencer bundle was created with travel bloggers and influencers in mind, and was thoroughly tested on a variety of images (RAW, JPEG, iphone). It is the perfect package to showcase your beautiful travel and lifestyle photography! Tags: blogger, influencer, lightroom, lightroom preset, photo editing, photography, retouch, social media, travel.